The Team Lucas marketing platform is a multi-dimensional approach to brand visibility with four solid tiers for its foundation: wide spectrum content delivery, innovative use of social networking, Lucas-owned racing series, and Lucas ownership of racing venues and sports complexes. Once your name is associated with a Lucas-branded race or venue, be prepared to become part of the lives of the fans and their families, who will turn to you as they would a friend, for your product or service. As you support their favorite motorsports, they will return that support to you, and the cycle of growth continues! The Lucas Oil Off Road Racing Series is the ultimate in short course off road racing. It takes the fast pace of Midwest short course racing and infuses it with West Coast flair and intensity! The short track allows fans to see every single detail of the race and puts them right in the middle of the action! The Lucas Oil Regional Off Road Racing Series is an extension of the national short course races in Arizona and Southern California. These races have seen MASSIVE increases in both fan base and participating drivers in recent years. This is a feeder series to develop our future pros and concentrate on the local heroes, young and old! The Lucas Oil Pro Pulling League is the premier pulling series in the United States! It hosts 12 different classes of pulling vehicles, from 10,000 horsepower Super Modified Tractors to Super Stock Diesel Trucks, giving the fans an endless array of the wildest, fire-breathing, load-hauling monsters on the planet! The Lucas Oil Pro Pulling League is the largest premier pulling series in the United States. At any of the 300 community supported social events, you can witness this uniquely American competition that highlights the combination of sheer horsepower and driver skill! The Spears Manufacturing Modified Series presented by Lucas Oil is the grassroots basis and feeder system for NASCAR. Tight regulations and high stakes make for some of the most competitive circle track driving in the nation! This is where drivers develop the talents that can turn them into superstars! Sprint Car Racing is where modern dirt oval racing began - roaring, open-wheel cars with some of the world's bravest drivers battling for glory and the checkered flag. This is side-sliding, dirt-flinging, edge of your seat excitement that keeps the memory of the past alive while creating the drivers of the future! The Lucas Oil Late Model Dirt Series is one of the heartland's most exciting and beloved dirt oval racing extravaganzas! Fans of Late Model Dirt are absolutely manic in their support of their favorite drivers, and the family friendly atmosphere and true sportsmanship make for a celebration of American ingenuity and power! MLRA is the acronym for the Lucas Oil Midwest Latemodel Racing Association. It is the Midwest's premiere showcase for the region's top late model drivers. Strict regulations, high speeds and hometown rivalries bring heart-pounding excitement to the Heartland! This is a racing series full of American spirit and pride! Lucas Oil Speedway is an entire motorsports complex in Wheatland, Missouri. It encompasses one of the finest oval dirt tracks in the United States, the nation's first man-made lake constructed specifically for drag boat racing, areas for camping, swimming and other recreation, an off-road track that brings short course off road racing to the heartland, as well as a tower complex filled with vendors, food services and entertainment. Forrest Lucas' goal was to build a world-class motorsports compound where fans and their families could enjoy their favorite pastime in a beautiful, clean and welcoming facility. That facility is known nationwide as the "Diamond of Dirt Tracks." Since 1987, The Lucas Oil Chili Bowl Nationals have been like the Super Bowl of sprint car racing. For many fans, it is their yearly pilgrimage to Tulsa, Oklahoma to see dirt track racing at an INDOOR arena, where the sights and sounds of open-wheel racing are exponentially intensified! This five-night marathon weeds out all but the toughest and most talented drivers and leaves fans exhausted from adrenaline-overload! The Tulsa Shootout in Tulsa, Oklahoma is the largest event for micro sprint racing in the country. It’s a multi-day event that encompasses 8 different racing classes including Winged and Non-Wing 600cc Outlaw Micros, A-Class 600cc Micros, ASCS ECOtech Midgets, Restricted Micros,1200cc Winged Mini Sprints, and the exciting Jr. Sprint class for kids. Currently in over 112 Million US households, CBS is one of the oldest and largest broadcast networks in the world. High-quality programming has been the cornerstone of its company philosophy since 1928. CBS Sports Network was acquired in 2008 and initially focused on collegiate sports. It has quickly expanded its core audience and become a mainstream destination for regional and action sports enthusiasts. NBC Sports Network began as an outdoor lifestyle network in 1995, but quickly transitioned to a mainstream sports network by the 2000s. NBCSN is currently in about 90 Million homes nationwide. Cutting edge technology and a highly trained staff of graphics designers, 3D animators and editors, Lucas Oil Studios is capable of producing anything from TV commercials, to full high-end TV shows. If you're watching grassroots motorsports on television, it was probably created or edited by Lucas Oil. 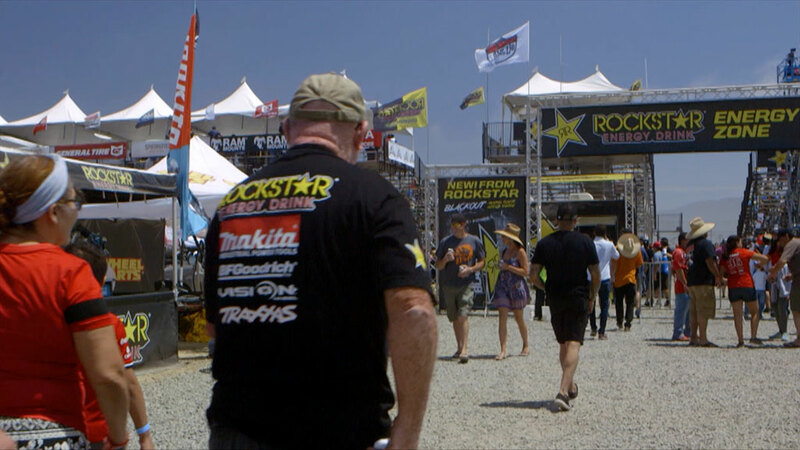 MAVTV offers an unparalleled line-up of exclusive motorsports, going far beyond the national mainstream events covering multitudes of grassroots series' from across the globe. Lucas Oil Studios produces over 215 hours of original TEAM LUCAS programming for MAVTV annually. The first streaming TV network dedicated solely to the world of motorsports - 24 hours a day, 7 days a week. With Lucas Oil Racing TV, YOU control all the action. No more scheduling time to see your favorite races - you watch them when and where you want! Today's fans are sophisticated and connected, utilizing technology to keep them in touch with the things that they like. TEAM LUCAS recognizes the importance of building and maintaining those close relationships, and utilizes the full scope of social media to keep fans in touch with their favorite brands, drivers and sponsors. TEAM LUCAS is comprised of a interconnected, synergystic blend of people, whose common goal is the growth and strengthening of grassroots motorsports worldwide! TEAM LUCAS works directly with YOUR BRAND to interact together through our channels and yours. "Our involvement with TEAM LUCAS has provided us with an engaging, cost-effective, grassroots presence in a variety of key markets nationwide. The GEICO branding on-site, as well as in-broadcast for the race series has been exceptional and has produced a respectable return on investment. It has also been easy to activate, as the LUCAS team makes it turnkey for us, freeing up our associate resources to pursue other endeavors." "We continue our very strong relationship with TEAM LUCAS and the Lucas Oil Off Road Racing Series because our multi-level campaign reaches such a diverse and enthusiastic marketplace. The Lucas Oil Off Road Series gets us exposed to a lot of fans who love the outdoor life and the spectacularly exciting off-road world." Schedules are updated live. Please refer back to the schedule page throughout the year for the latest information. We're more than just racing! As part of Team Lucas, you will gain access to exclusive Lucas Oil assets and create additional custom sponsorship opportunities. Speak with a Team Lucas representative to learn more about supporting special events at Lucas Oil Stadium, the Lucas Oil Air Show, Pro Bull Riding, racing at NHRA, Lucas Oil Pro Motocross, and much more! By adding your support to these additional attractions, you will be reaching an even wider proportion of dedicated, heartland Americans!